See the below tutorial on how to clear the hard drive of the Sonosite machines found in our hospital. 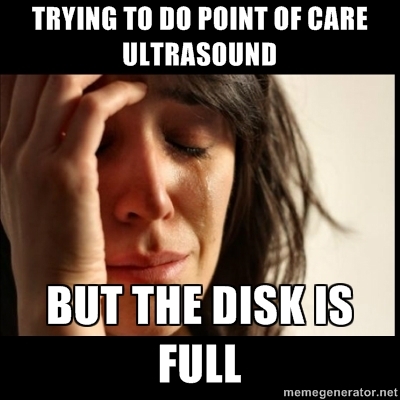 A full hard drive can get in the way of your archiving and even slow down machine function. It is easy to do, just watch! See the below tutorial on use on the Sonosite EDGE and how to integrate its use with the UWO point of care ultrasound program.